Radio Mangalam 91.2 Malayalam Live Online . Listen 30 malayalam radio stations Online . 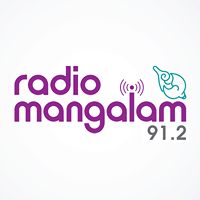 Radio Mangalam 91.2 is a Community Radio initiative from Mangalam College of Engineering. Within a small span of time Radio Mangalam 91.2 became the most favorite FM Station amount people in Kottayam.